Langley – FVN has been following the progress of “The Village Memory Care Project” in Langley. Inspired by the dutch dementia village de Hogeweyk,and the Green House Project in the USA, this unique 5 acre village styled community will be a first of it’s kind in Canada. FVN’s original story on this project can be found here. Recently, Adrienne Alford-Burt was named as the first Executive Director. Adrienne is an experienced team builder and manager of seniors communities, having led large local and regionalised health operations in British Columbia, serving older adults of varying abilities since 2008. Instead of a rigid care home structure, it is a place where dementia patients can freely walk “the streets”, visits shops, go for coffee with other residents and interact as if nothing in their lives had altered drastically. Doctors, specialists and family members have all hailed the concept as brilliant and innovative…and successful. Reducing the stress and confusion for patients is paramount. Project Architect Eitaro Hirota provides a guided tour through one of The Village Memory Care Project’s households. Live Streaming Council, School Board Meetings – Does Anyone Care? 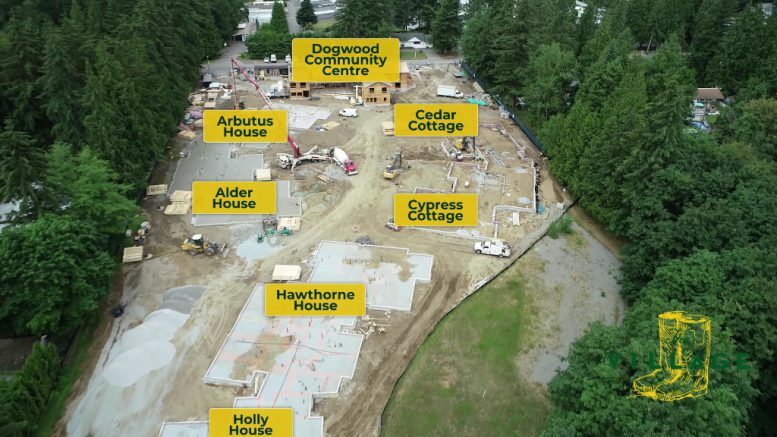 Be the first to comment on "January Update on “The Village”- Dementia Care In Langley – An Executive Director Named (VIDEO)"